The Fine Bros., who made a name for themselves with their immensely popular reaction video series on YouTube, have shut down their efforts to trademark the word ‘react’ and license similar content under their own banner after the internet lashed out against the idea. Benny and Rafi Fine have made loads of videos depicting groups like teens, children, the elderly and YouTubers reacting to pop culture phenomena like DJ Khaled’s Snapchat messages and the ‘Star Wars: The Force Awakens’ trailer. After garnering more than 14 million subscribers on YouTube, the duo decided to file for a trademark and begin licensing their ‘React’ format. 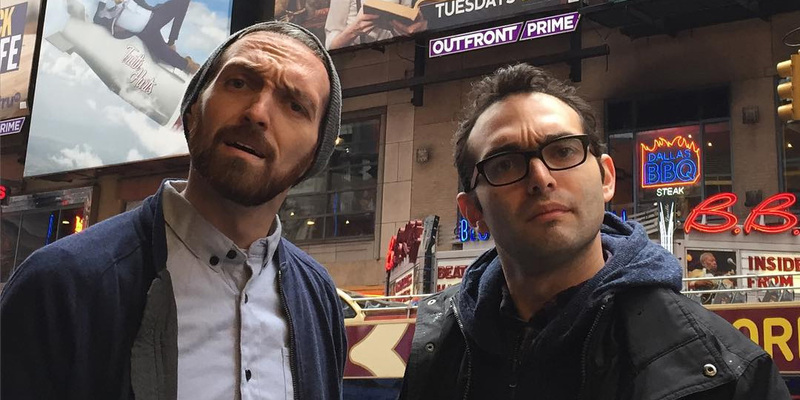 Had they succeeded in securing a trademark, their company Fine Brothers Entertainment (FBE) would be able to protect the format of their reaction videos. The firm also announced a new program called React World to license its React format to other YouTubers, allowing them to use FBE assets in their videos and get a percentage of the revenue earned from the clips they create. While this sounds like a simple matter of a company attempting to safeguard its intellectual property, it wasn’t seen that way by YouTube viewers. In the past few days, FBE’s YouTube channel has lost close to 300,000 subscribers at the time of writing. Owning the ‘React’ trademark could potentially enable FBE to go after content creators involved in making similar videos and coerce them into taking them down. It’s similar to Sony’s attempt to trademark the term ‘Let’s Play’, which is used by several gaming channels on YouTube to describe videos in which they show off gameplay along with their own commentary. Sony’s application was rejected last month. In videos that have since been removed, The Fine Bros. maintained that they had no intention of ordering YouTubers to take down their reaction clips. 1. Rescind all of our “React” trademarks and applications. It’s entirely possible that FBE actually meant no harm and might have been able to help budding YouTubers get an audience by licensing the React format. But the trouble with this concept is that it could have set a precedent for companies claiming to own common terms and ideas in content creation on the video platform. In addition, FBE failed to clearly illustrate what its format comprised of and what it wanted to protect. The confusion over this, coupled with the possibility of the company going after amateur creators eventually led to the shutdown of the React licensing program. It’s also worth noting that the Fine Bros. were involved in measures to take full ownership of the ‘react’ video format. YouTuber 8-bit Eric noted that FBE made its bread and butter with reaction videos based on other people’s creations, but placed a takedown request on one of his clips in which he reacts to the company’s content. It’s disappointing that the Fine Brothers failed to acknowledge that they weren’t the first to film a reaction video or accept that the concept is universal. Owning your branding and the factors that differentiate you from your competition is certainly reasonable and recommended. But staking claim to an idea that you didn’t come up with? The internet is having none of that.